Check out the elegance and durability of our GMC Yukon line at Vance GMC Cadilac Buick in Guthrie, Oklahoma. Experience friendly, honest small-town service a short drive from Edmond and Oklahoma City. We are 10 minutes north of Edmond and 30 minutes from downtown Oklahoma City on I-35. It is worth the quick drive to see our big city inventory and to be treated like small town neighbors. 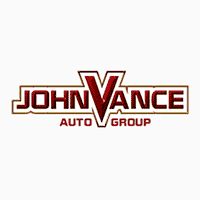 The Vance Auto Group has been serving Oklahoma for over thirty years and we want to treat our customers so well that we will be serving Oklahomans for another 30 years. Check out our new and used GMC Yukons on our website, call us, and come see us. We want to help you find the vehicle of your dreams. The GMC Yukon exudes style and confidence on the road. If you are looking for a full size SUV, the Yukon and Yukon XL, SLE and SLT offer seating for up to 9, towing capabilities up to 8,500 lbs and gets 16/23 miles per gallon in the city or on the highway. They offer rear vision camera and front/rear parking assistance. The power of the Yukon is in its 5.3L EcoTec3 V8 engine with 355 hp and 383 lb.-ft. of torque. We even carry the luxurious Yukon Denali line. The smart design of the Yukon’s presence on the road is matched by its intelligence in its interior with Apple Car Play and Android Auto capabilities. The Yukon features extra leg room for rear passengers with 24.8 inches for the third row seating. The Yukon XL gives 34.5 inches for third row passengers. Other options available are the power release fold and tumble seats and the power third row seats which fold flat for extra cargo room. Ask about our innovative infotainment system that offers all the latest technology at your fingertips including your own contacts. Whether you are looking for the perfect family SUV, business vehicle, or work-to-play SUV, come see the outstanding GMC Yukon that makes driving fun. We are waiting to serve you at Vance GMC Cadillac Buick in Guthrie, Oklahoma.